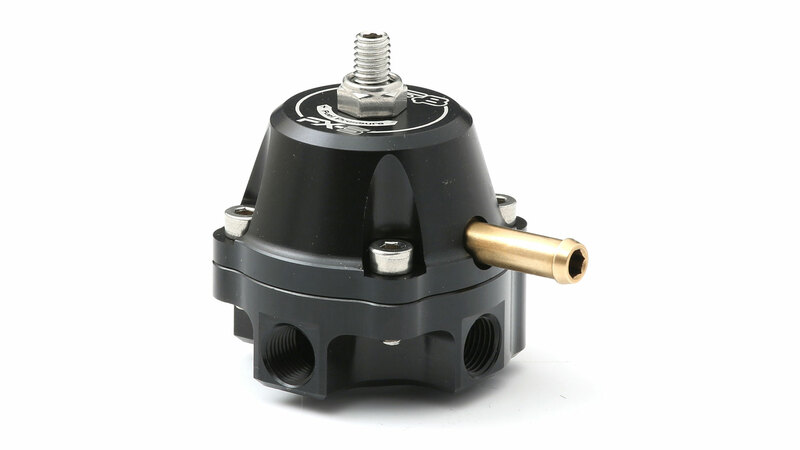 GFB’s Fuel Pressure Regulators are built with the same precision, machining quality, and reliability that is the foundation of all GFB products. 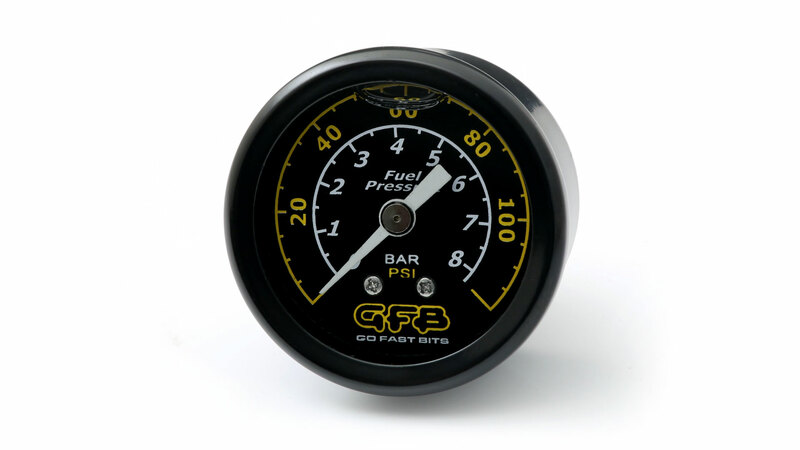 The compact size of the GFB FX regulators conceals a large flow capacity, and the multiple ports allow for a variety of fuel system setups including multiple rails and gauge/pressure sensor monitoring. Internally, like all GFB products you’ll find unique features and small touches that make the difference between a good product, and a great one. For example, we use a double-layer, double-reinforced diaphragm with a burst strength exceeding 1000psi (68BAR)! Unlike others that use a metal-to-metal valve seat, the FX regulators feature a replaceable soft Teflon valve seat that helps retain fuel pressure longer after the car is shut down for easier re-starting. We even went to the trouble of adding an o-ring sealed spring hat to ensure no boost/vacuum leakage through the spring adjusting screw. 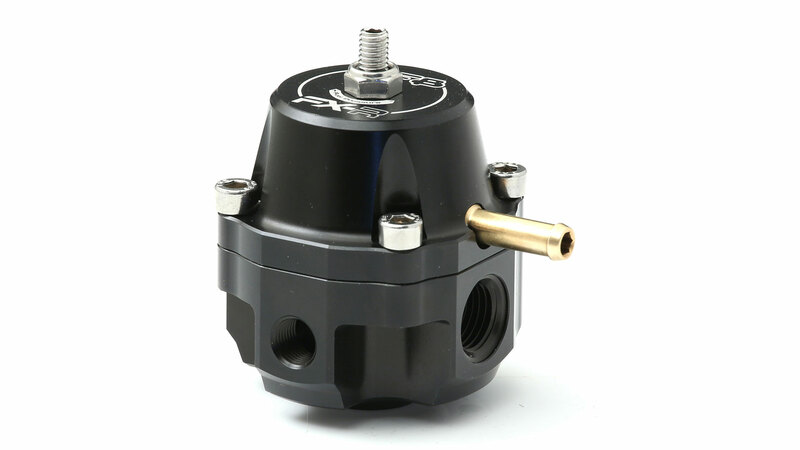 All FX regulators have a 1:1 fuel pressure rise rate and a base pressure range from 28-72psi (2-5BAR).